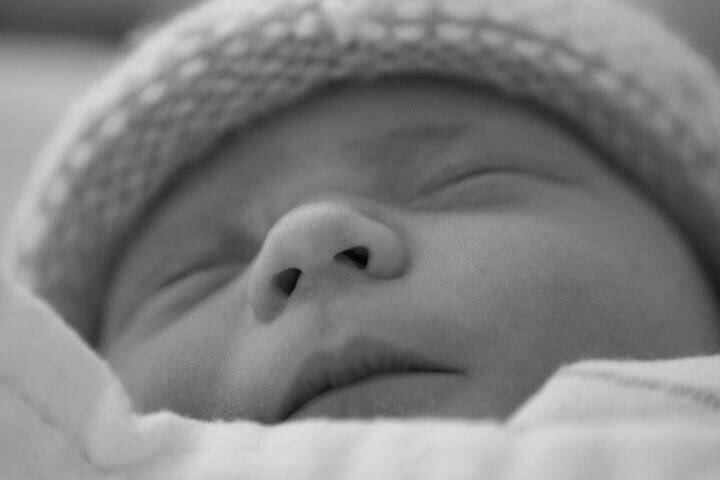 Well my rather long absence from here has not been in vain, I’ve been working on a pretty special project.. 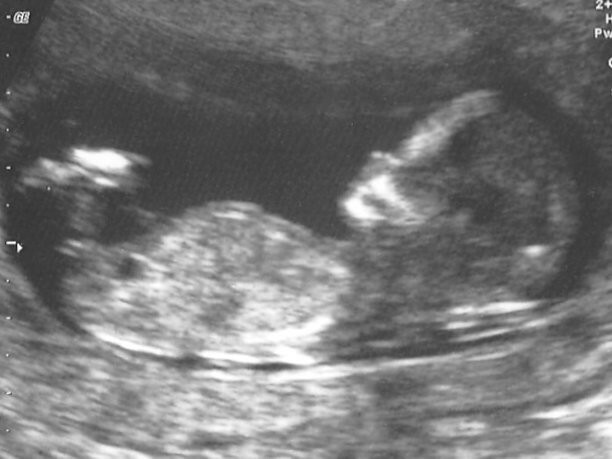 He or she is due in April and we’re really excited! I’ve started crocheting a little blanket using the Granny Stripe method from Attic24 and I’m sure there’ll be a quilt on the go soon too. So this all means that I won’t be able to keep up with a new project a week here. However I want to keep the blog going, and the monthly themes. So the plan is that we still share projects and ideas each month and I’ll try to make at least one item per theme. What do you think? There’s no obligation to replicate this particular project though! Year 2 is here – won’t you join me? 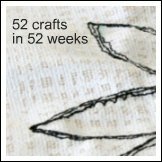 It’s year 2 of 52 crafts in 52 weeks and this time I would love it if you got involved too. 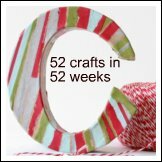 We’ll be crafting together and you can choose to complete 1,2,3 or 4 crafts each month to fit the theme. 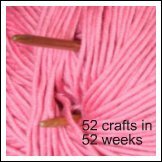 You can post your crafts in the comments, on Facebook, Twitter (using the hashtag #52crafts52weeks) or in the Flickr group (or all of them of course). Here are all the monthly themes. It’s up to you which crafts you choose in the month but I’ll also post in advance which I’ve chosen so you can follow along – I’ve only finalised July so far but I’ll update with August soon so you can get organised. Let me know if you’re joining in and if you have any questions. I can’t wait to get started! 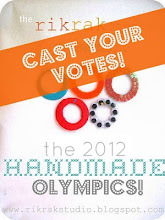 I interrupt our regular crafty viewing to talk about a cause close to my heart. 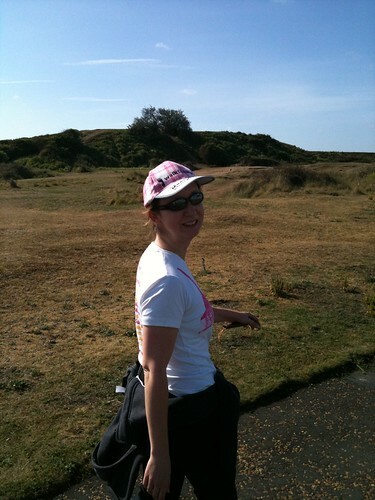 In June I’m taking part in a charity walk in aid of breast cancer charities called the Moonwalk. It’s in Edinburgh (that means hills, I live in East Anglia where it’s flat, I’m worried). Oh and it’s 26.2 miles. If you can spare any pounds to sponsor me I’d really appreciate it. And there is a bit of a crafty element to this as I’ll be decorating the bra I’ll be walking in on the night. Photos of that soon – the theme is Moulin Rouge so think feathers and sequins. I’ll keep you posted on the training – 18 miles this weekend! How will I find time for crafting? In the pursuit of “a life more crafty” I’ve decided to try a new craft every week for a year. I must be mad. It’s possible that I may end up bankrupt in the process – 52 new crafts (or at least most of them will be new) isn’t going to be cheap so I’ll have to find the lowest cost ways possible to get creative by hunting down bargains in charity shops, on ebay etc. And I may have to beg forgiveness from my husband on more that one occasion as the craft room starts overflowing. But hopefully it will be fun and along the way I’ll learn new skills and make lots of pretty things for me, my home and my friends and family.